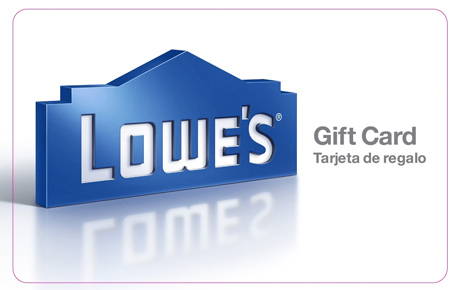 Hide deals from seller "Lowe's"
Hide deals from category "Home Improvement Stores"
$5 for $10 Lowe's ® Gift Card. Mailed to Chicagoland Addresses Only. Cannot use account credits/Deal Dollars to purchase. Subscribers who have previously purchased a Lowe's Gift Card deal through Deals Magazine/WhereYouShop are ineligible. Duplicated accounts will not receive gift card. Gift Card will be mailed via USPS to the Chicagoland shipping address indicated at checkout. The Lowe's Gift Card represents a prepayment for authorized products and services at participating Lowe's locations and can not be redeemed for cash. The card can not be replaced if lost or stolen and should be protected as you would cash. DM employees and its affiliates are not eligible to purchase this deal. Spruce up your home with new appliances, plants, lighting and much more from Lowe’s ®Home Improvement. Making its mark as one of the largest appliance retailers in the world, Lowe’s* offers customers products to help rebuild and maintain their homes. Give your haven the kick it needs with this exclusive Deals Magazine offer: $5 for a $10 Lowe’s Gift Card. With purchase, you will also receive a FREE subscription to our quarterly print edition of Deals Magazine, mailed to you. Deals Magazine will never cost you a penny, but will save you millions of them! Lowe's comprehensive catalogue of home improvement merchandise keeps hardware junkies and house builders sufficiently satisfied. With more than 500,000 products available by special order, Lowe’s supplies convenience with its wide and fully stocked aisles in-store, and accessible online shopping on their website. *LOWE'S® and the GABLE MANSARD DESIGN are registered trademarks and service marks of LF, LLC. Lowe’s® is not affiliated with Deals Magazine. For more than 60 years, Lowe's has been improving home improvement with 40,000 products including appliances and tools. Allow 7 business days for the Lowe's gift card to be mailed to the Chicagoland shipping address indicated at checkout. Once received, Lowe's Gift Card can be used at the Lowe's location nearest to you.